Is Gentrification Really Why D.C. Has Fewer Murders? D.C. was once called “Murder Capital.” In 1991, at the height of the crack epidemic, 479 people were murdered. 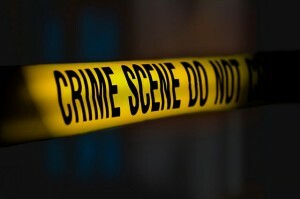 But the end of 2011 brought good news: the number of homicides in D.C. had reached a 50-year low. The Washington Post reported that meanwhile, Prince George’s County experienced a slight increase in its number of murders, and that D.C.’s poorer residents moving into the county have taken neighborhood disputes and other issues with them, contributing to the uptick in crime. Given the city’s demographic changes, a number of people are pointing to one reason in particular: gentrification. The narrative seems logical enough: violent crime tends to be higher in poorer neighborhoods, and demographic changes have left D.C. a wealthier city. That may make sense in D.C. neighborhoods where there has been gentrification. But it doesn’t fit when examining District communities that have historically had the most homicides and the highest poverty rates.